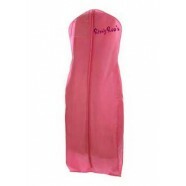 Beautiful chiffon gown with sweetheart neckline and open back. The bodice features a gold stud pattern. Back zipper closure.